For some reason, I can’t seem to keep myself away from lace, silk, and sequins…all of which require special care including gentle detergent and hand washing if not a trip to the drycleaner. A few years back I purchased a couple of bottles of the Victoria’s Secret laundry detergent, which lasted me forever, but when it ran out I couldn’t find it anywhere. I spotted The Laundress Delicate Wash in line at J. Crew one day and it became my new go-to. The cute bottle and luxurious fragrance somehow make hand washing seem less like a chore. 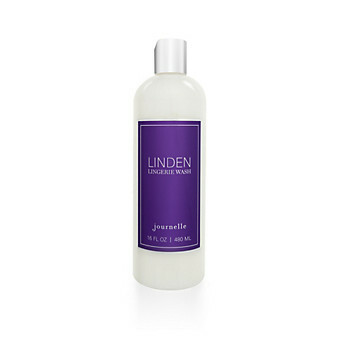 Now my favorite lingerie boutique, Journelle, has partnered with the The Laundress to turn their signature linden fragrance into a “highly-concentrated, super-gentle laundry detergent that removes body oils, perspiration, and stains while cleaning and preserving delicate fabrics.” The bottle even looks amazing as well. I am so excited for my next box to arrive from Journelle with something to keep my lovelies looking and smelling lovely.